The often filmed story of Antinea, Queen of Atlantis. It was previously filmed in 1921 as L'ATLANTIDE directed by Jacques Feyder. After MISTRESS another version was made starring Maria Montez, titled SIREN OF ATLANTIS (1949). Toto made a comedy version of the story in 1950 called TOTO SCEICCO with Tamara Lees as Antinea. JOURNEY UNDER THE DESERT was released in 1960 with Haya Harareet as Queen Antinea. And Antinea appeared also in HERCULES AND THE CAPTIVE WOMEN starring Reg Park. This Antinea had nothing to do with the Pierre Benoît novel/story though. There were other new adaptations since then. DESERT LEGION (1953), starring Alan Ladd and Arlene Dahl, is sort of a take on the same story but the Queen/Princess is not called Antinea but Morjana. 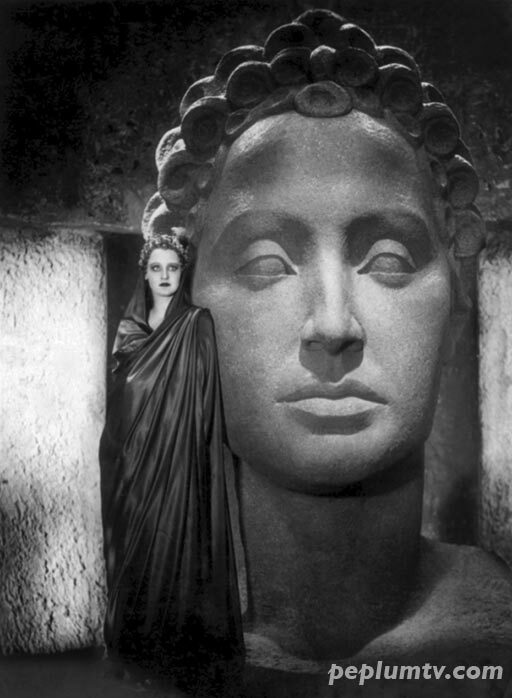 Brigitte Helm was the main actress in METROPOLIS. If MISTRESS OF ATLANTIS (1932) is available with English subtitles, inter-titles (if it is "silent") or dubbed into English it would be great if you could show it.